There are two Windswepts. One is a best selling 1953 novel by Mary Ellen Chase, about a several generations of a family living in a remote house by the sea in Down East Maine. 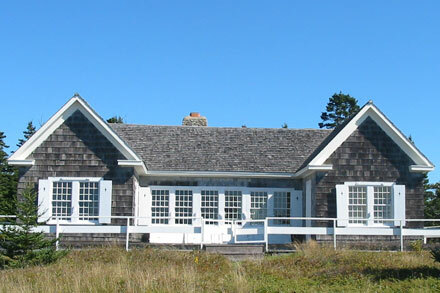 The other is her summer home, a remote house by the sea in Down East Maine. 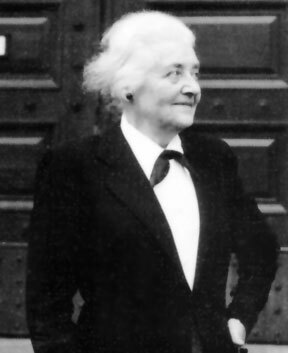 Born in Blue Hill in 1887, Chase is considered one of the heirs to the literary tradition of Sarah Orne Jewett, and indeed is one of the best of the Maine novelists. 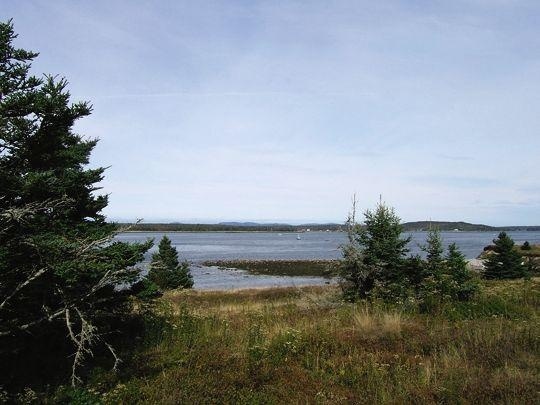 She puchased Windswept, located near the end of the world between wild blueberry barrens and the ocean on Petit Manan Point at Steuben, Maine in 1940, and there wrote nine of her books. 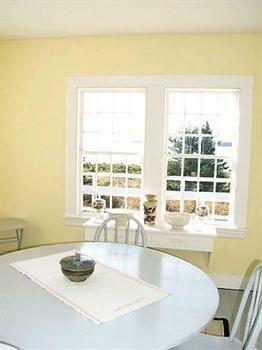 Built in the 1920’s, the simple cottage is classic Maine, low, shingled, with simple shutters, and many small paned windows to let in the light from the sea. A big living room with fieldstone fireplace anchors two wings, one with kitchen, the other with bedrooms, forming a sheltered courtyard at the entrance. 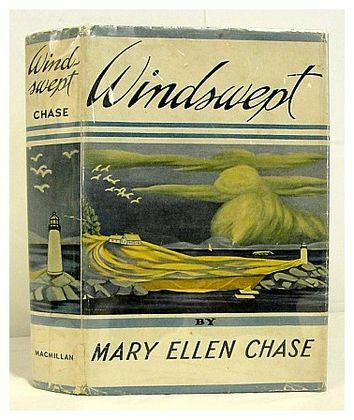 Chase had to give up Windswept in 1956. 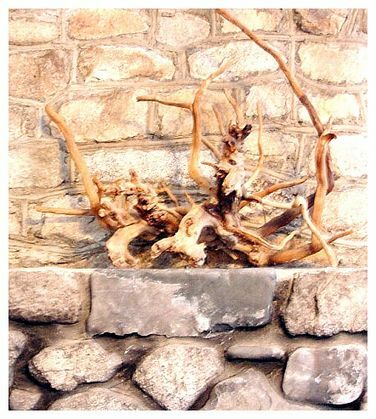 It went through several owners, who cherished the connection, and the simple aesthetic of the place, before going on the market a couple of years ago. 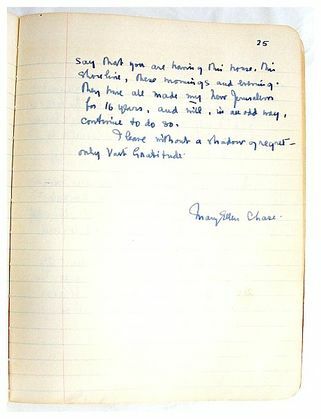 The new owners did not desire any of Chase’s furnishings or mementos, and last week, there was an auction, sparsely attended, and the accumulations of seventy years were sold, including a handwritten notebook about the house, written by Chase for the new owners when she sold the house. It was a sad reflection of Chase’s fallen literary status that even this manuscript failed to excite spirited bidding. This writer, whose great-grandmother was a friend of Chase’s, purchased a round chair table, probably destined to be my new kitchen table, and the piece of driftwood from above the living room mantel, where Chase’s nephew remembered that she loved to always have a fire going in all weathers, for the pleasant scent. 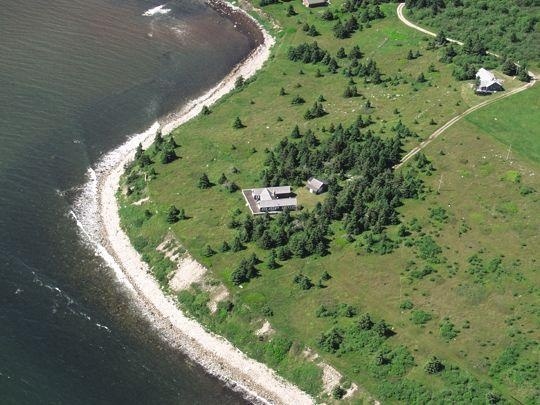 Windswept sold for 1.2 million, with 7.5 acres and 1100 feet of shorefront bordered by a preserve. Imagine the same property in Montauk…. (Below), the final page of Chase’s Windswept journal, wishing the new owners the same happiness she had experienced there. A heartbreaking post, but I'm glad you came away with a remembrance, the articles will have found a good home. That is why there are people like you…to save and record such things. I adore the dust jacket artwork on the book.